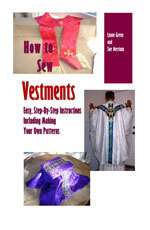 I am going to making a large Alb for a Deacon. The material will be Terlenka 59" wide. How many yards will I need?